This was a cool assignment. 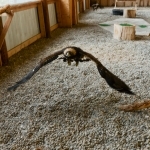 Last week I got to watch the release of a golden eagle back into the wild. 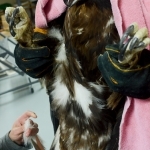 The raptor was rescued by Montana Raptor Conservation Center director Becky Keanon January 25th after it was injured by a cable snare trap and Wednesday marked it’s successful nurture back to health. 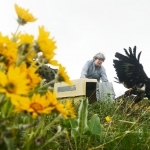 After a four month road to recovery, Montana Raptor Conservation Center volunteer Jocelyn Barker is shown releasing it back into the wild outside of Bozeman near Middle Cottonwood canyon Wednesday afternoon. Before the birds can be released, they must be banded and have a sample of their feathers saved on record. 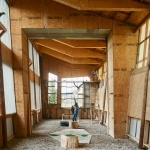 So you can imagine my humor watching the raptor center volunteers trying to recapture the bird in its pen with a blanket. It’s harder to catch a wild eagle than one would think. These volunteers were pros and were able to safely capture and release the eagle without any harm to it. It was a pretty cool thing to witness this healed bird soaring on the mountain winds once again. What a feeling it must have felt to finally fly again after 4 months cooped up. How great for the Bozeman community that they have such dedicated raptor enthusiasts that provide such a service. 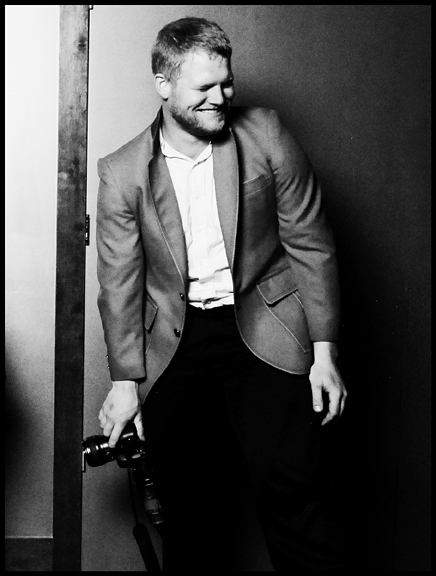 This entry was posted on Tuesday, June 4th, 2013 at 10:46 pm. 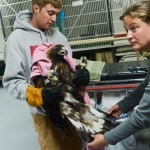 It is filed under Editorial and tagged with Bozeman, golden eagle, Montana, Montana Raptor Conservation Center, nature, volunteers. You can follow any responses to this entry through the RSS 2.0 feed.